Speaking on the growth of the hospitality industry in Ghana, Mr. AkwasiAgyeman, CEO of the Ghana Tourism Authority (GTA) indicated that licensed accommodation facilities grew by 22%. This has been spurred on by a 15% increase in tourist arrivals and a number of initiatives embarked upon by government to stimulate economic growth through foreign investments. The hotel is one of the most established properties in the upscale hotel sector in Ghana and has accommodated a number of high profile guests including The Prince of Whales, Prince Charles and Camilla, Duchess of Cornwall, heads of states and African-American celebrities who recently visited the country during the FullCircleFestival – an initiative which is in line with the 2019 ‘Year of Return’marking 400 years since the arrival of the first enslaved African in Jamestown, Virginia. 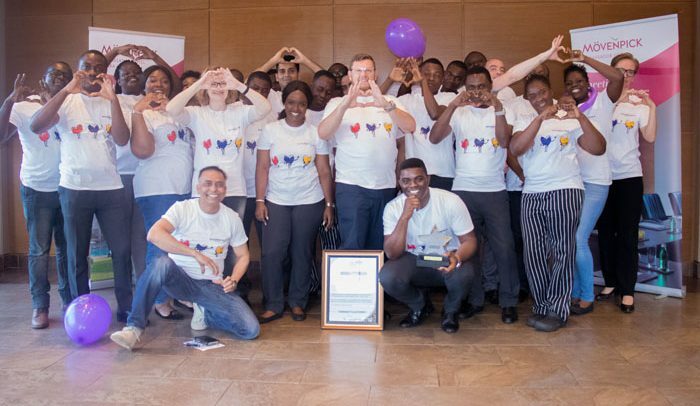 Earlier this year, MövenpickAmbassador Hotel Accra also picked the top brand eminence award as a result of the hotel’s unique customer service and was named one of the top luxurious hotels in Ghana.